April is Stress Awareness month when we are all encouraged to take some time to think about the stresses in our lives and how we can reduce that stress. We think being involved in your local Incredible Edible group can help. Often stress is caused by our jobs, our lifestyles or things we might feel are very difficult to change, so it’s important that as individuals we take time to look at this and work out what might lessen the stress in our lives. Stress Awareness Month has run since 1992 and acknowledges there is a lot of work to do to bring levels of stress in the UK down to manageable levels. It is acknowledged that stress is one of the greatest public health challenges we face today and as it is a significant factor on anxiety and depression disorders it must be acknowledged and supported if we are to see health improve across the UK. 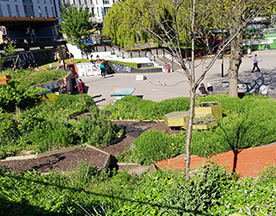 Whilst Incredible Edible is about far more than growing, most groups do grow food, getting together to garden in shared spaces in the towns and cities they work across. These activities are fabulous for improved mental health and stress reduction, as is coming together as a community to improve the world in which we live. Often just building a space for people to come and garden in is a powerful tool, and we know from having spoken to folk from all across the country, that a lot of Incredible Edible groups have members who, whilst they want to find those local solutions to the huge global issues we face, find real solace and calm from feeling that they are involved with something that is supporting not just global challenges, but also individuals and connecting communities. There are many amazing charities across the UK supporting people who are struggling with mental health issues, including stress, to find green spaces to get involved in and are passionate about supporting people through horticulture to be both physically and mentally well. 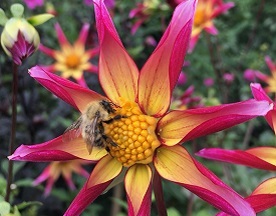 For example, Thrive, with bases in London, Berkshire and Birmingham, have some super powerful films from their ambassadors which are really worth spending some time watching to understand just how many people really are supported to be well by gardening. There is plenty more information about what they do and how to get involved with them at their website. Lots more information about stress and National Stress Awareness Month can be found at stress.org.uk, where you can take a stress test and learn lots about stress reduction. Finally, in June the inaugural National Growing for Wellbeing Week is being launched. 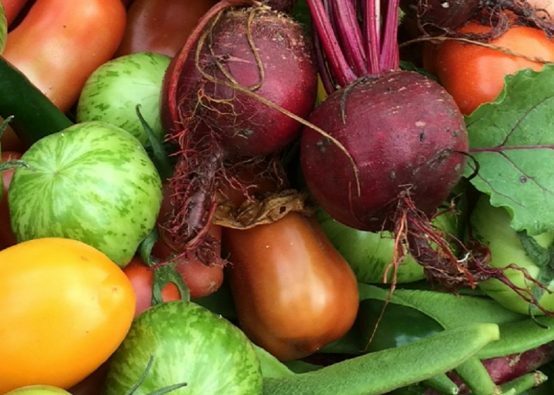 The brainchild of Annabelle Padwick the week will celebrate the power of growing your own food and gardening for positive wellbeing and there will be activities, events and lots of other opportunities to get involved. We’ll let you know more as more is announced but you can hear about Annabelle’s story here. To find your local Incredible Edible group, search on our map here. Or to start a group in your local area, look at our 10 Steps to being Incredible guide and sign up to the website to access lots of resources to help you on your Incredible journey.